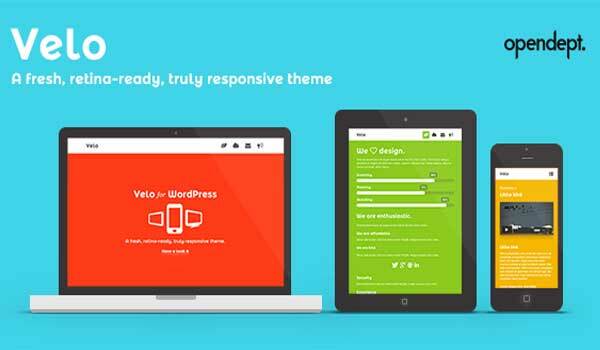 One page WordPress theme displays all the main features of your website on the home page. It makes easy for the users to get all the required information within a one page. All the representing one page WordPress themes were built keeping the simplicity of design in mind. The interfaces of the themes are clutter free and the places for the most important business content are provided. All the themes which are included in this top list are simple and clean one page portfolio WordPress themes, perfect for any designer, photographer, illustrator or agency. Some of these showcased themes have a Parallax effect. This cool effect is now commonly seen as part of the scrolling feature of a web page. It uses multiple backgrounds which seem to move at different speeds to create a sensation of depth (creating a faux-3D effect) and an interesting browsing experience. Nowadays technologies requires to create your business in a modern, innovative way, so one page WordPress functionality is one of features that shows your goal to showcase your products, services or just competencies on a attractive and clear website. 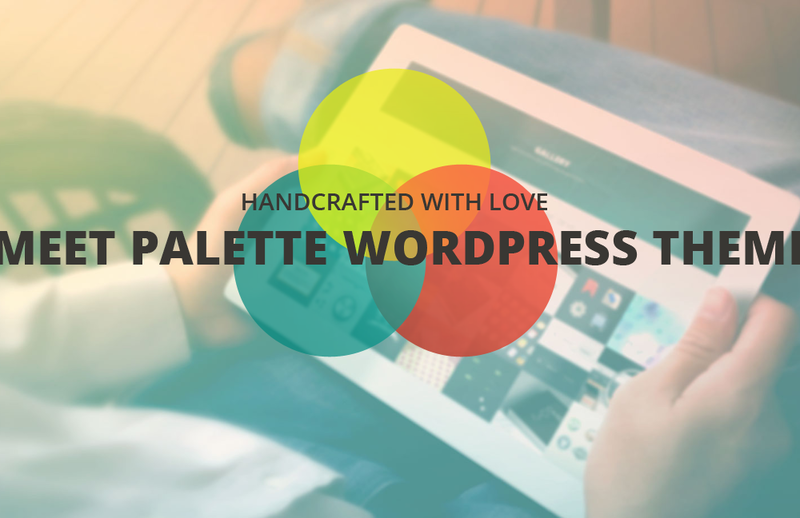 Here we go with a top list of this kind WordPress themes which we are focused on this time. If you have any question, you need any advise which one theme fits you the best, do not hesitate to leave a comment below. As soon as possible we will leave an answer to you. Eleven has the parallax effect to its only one page for a template. Since it is only a single page theme, it is easy to customize and perfect for photography portfolio. It can also be for any type of purpose like corporate, business, or digital agency. A Retina ready, responsive portfolio theme suited for any purpose. Great for showing off your work to the world such as photography, illustration or any kind of creative work you have. With the help of its responsive feature your site will have a very stunning touch to any device such as the mobile phone. Zoo is the ultimate one page WordPress portfolio theme with a Parallax functionality. This theme, which we have chosen to present to you, is perfect for corporate, agencies, freelancers or small business. 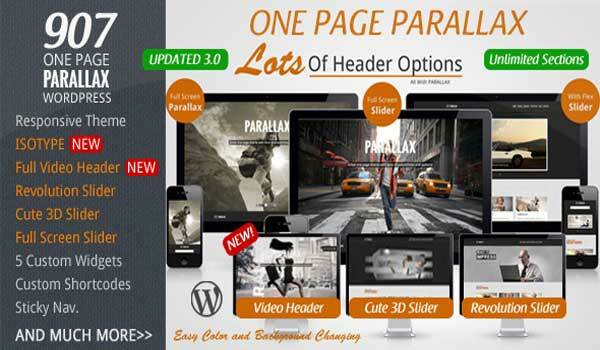 Any element can be parallaxed with zoo, using the powerful animation shortcode generator. Animations are not only limited to parallax effects, you can create all kinds of custom scrolling animations with ease. Brooklyn is a beautiful multipurpose one page WordPress portfolio theme with a parallax functionality. 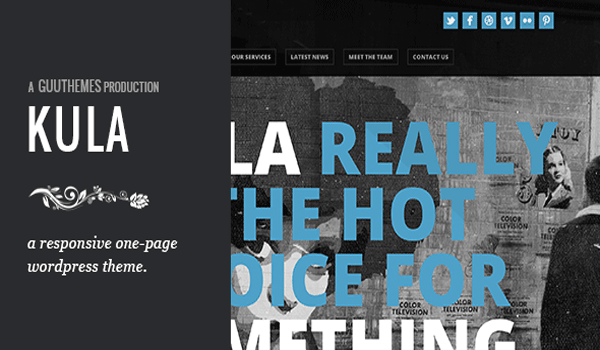 This responsive template perfectly tailored for creative professionals or agencies. Brooklyn is loaded of customization options and ease of use. This one page WordPress portfolio theme guarantees a unique website every time whether its for you or your client. Identiq is a clean, fresh and easy to customize, unique HTML responsive template. This one page WordPress portfolio theme can be used for business and corporate sites, your portfolio site or customize it to suit your wishes. This theme is with advanced options, unlimited colors, layered slider included, you can truly create something unique to suite your need. It is also includes the detailed documentation on how to use the theme and it’s features if that’s not enough you can always contact the support. Nervaq is a one page WordPress portfolio theme with a Parallax effect. This theme is a fully responsive and retina ready single page portfolio. It offers stunning design, really great compatibility and comes with super support. Authors goal was to develop a minimal, clean, and aesthetically pleasing, and at the same time stable, powerful, and highly flexible theme for use in agency websites, personal portfolios, photography or art showcases, as well as personal blogs and corporate websites. Mercurial is a one page WordPress portfolio theme with a parallax effect included and is very easy to customize. This template is great for creative, digital agency, photography, business, corporate. This theme has a modern and clean style. Mercurial WordPress theme has its custom Theme options panel with tons of settings, starting from your site logo update to the site color changes. Nash is the responsive one page WordPress portfolio theme. 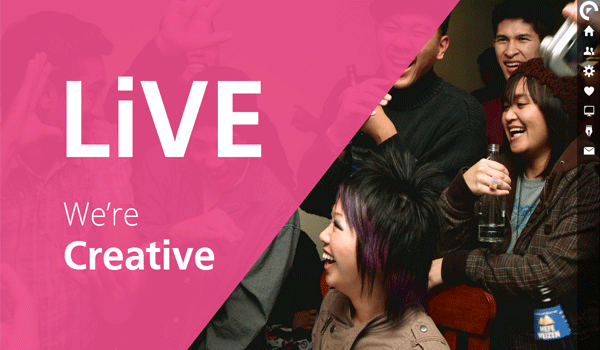 The theme is perfect for design agencies. 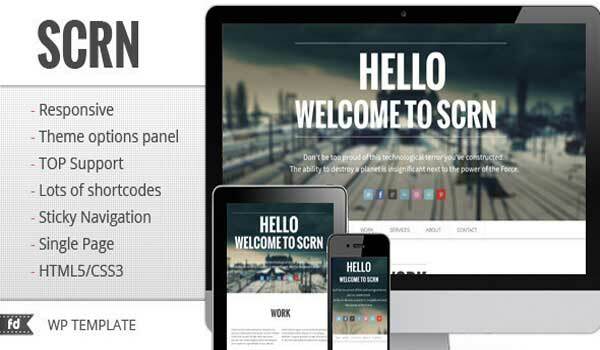 The template is fully responsive and looks amazing on your smartphone, tablet and desktop. Beautiful typography, gorgeous iconography, subtle CSS3 effects and those small details that really make you stand out from the crowd. Theme includes the detailed documentation on how to use the theme and it’s features. Flatco is a clean, modern and responsive one page WordPress multipurpose theme designed to be customized. The theme was created with many different niches and professions in mind – bloggers, online stores, lawyers, agencies, wedding planners, hosting companies, nonprofits and more. Just have a look at some of our industry specific homepage examples to get an idea of just what kind of magic Flatco is capable of. The theme is packed to the brim with great features like WooCommerce or BuddyPress integration. At a price that is less than a tank of gas there’s no reason not to get Flatco today and start building your new website! RAW has dedicated a lot of time and resources to create a new kind of WordPress theme that is highly creative, unique, technologically advanced, yet still highly customizable and easy to use by beginners and developers alike. We highly suggest that you take a look at all the features this product has to offer, including all different previews so you can grasp the full potential of this one page WordPress multipurpose theme.